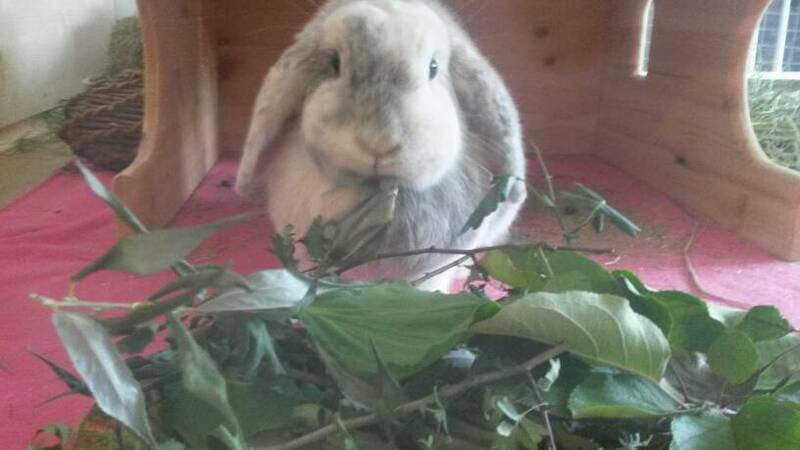 So my bunnies have been fed fresh foods daily such as hawthorn, plantain and Hazel etc. Now the leafs are falling, we have to go back to super market greens. I have been giving herbs as I grew them in my garden and the buns are used to them. What's the best greens I can introduce to the bunnies? Maple used to enjoy Kale but my mum says Kale gives Dennis a rumbly tummy. The only fresh greens from tge shops Dennis has been given by me are carrot tops and herbs. Obviously these are not ideal for regular feeding. What can I introduce until the fresh forage is back? At the moment they are currently having lots of dried forage, hay cookies, timothy hay and fresh herbs. Oh by the way, my local supermarket is Asdas where I can grab fresh stuff on the way home from work. They have rocket etc but it comes in prewashed ready to eat bags? I always buy Spring Greens as long as it looks good. Failing that a dark green Cabbage as long as there is enough to go round everybun. We haven't got to the stage here where we need to supplement items of fresh food and I try to put this off as long as possible during the Winter months. I can still collect enough each day for them, although now there is a large proportion of leaves in the mix. Our apple trees still have lots of leaves on, so they will last for a few more weeks. We've still got Alder and Ash with falling leaves. There is also still loads of Red Dead-nettle, Dandelion and a small amount of Cow Parsley. So probably in a month or so's time I will supplement by buying fresh picked herbs. I also shop in Asda and their picked herbs (£1 per bunch) are usually very fresh. They have Parsley, Coriander, Dill and Mint and I usually get whatever looks the best. We have also got Kale growing in the garden, so they get some of that most days. I've never found it affects their tummies, but other rabbits may be different. You might find that Dennis is more used to fresh food now and so he's OK with it. You have also probably got quite a lot of dried forage and so I would feed a proportion of that. Mine have always turned their noses up at anything dried. My two will also get more tree sticks to nibble during the Winter. I've never had a problem with spring greens. Mine like cauliflower too - sometimes they have the leaves and I have the middle part but often they have the actual cauliflower. Mine are still out on grass at the moment and nom that too. I tend to get whatever is 'whoops' in Asda and share it with the buns. I do give a lot of carrot but am trying to get weight on Halloumi as he is so active that he needs 'fattening up' a bit. Once he is fully grown I will reduce his carrot intake. Bramble leaves are available all year round, but you may have to search around until you find the greener ones as some go dark and tatty. Watch your fingers on the spikes (use scissors) and take a cloth bag to put them in as they can shred plastic. Dandelions are still growing, and some willow is still quite green. Autumn raspberries also still have leaves on as they are just fruiting. You could dry some if you find a good supply of any forage. I rely on cabbages a lot in winter as they are cheap and readily available. All of the cabbage family (Kale. broccoli, cauliflower, spring greens, sprouts, etc) are good in winter but maybe only try very small amounts for a potentially gassy bun and see how they get on. I feed brocoli and spring greens daily with no issues Atticus would normally be the one to show issues with food but he's okay with that and kale - every buns different tho! Those three are my stables then often a dark cabbage, mixed bag of rocket, spinach and watercress, and a range of herbs. You could try introducing small amounts and see if anything happens? I like to buy kale in Sainsburys because you get the whole large leaves instead of chopped up stuff which seems to go off quickly and is very mushy sometimes. Mine have been on switch over for a couple of months, feeding them ,more & more dry forage & less fresh. As Shimmer says Brambles are available most of the year. I have this ace little tool my mum bought me to dehead (flowers) You'll find bits of plantain, grass, dandelions, herb robert for a while yet. Trees are dead here. Supermarket veg & ibuy the unpackaged 99p herbs from Asda too. A bag or 2 of cavlo nero / black tongues a week. So their proportionate amount of fresh is way lower in winter. That said I don't think they care & their dried forage & timothy poos are way better than their summer poos. I do worry most of what I give them is so dry. Nutritionally your bunnies are covered on the dry stuff you are feeding though. I agree with this. My two eat far more Timothy hay in the winter, which has a positive affect on their poos. I had also forgotten about Brambles and am able to find some of these during the Winter. My boys have anything green, plus turnip, celeriac, toms, I buy anything growing on a whoops / reduced ticket and so today they have rocket, parsley and watercress. 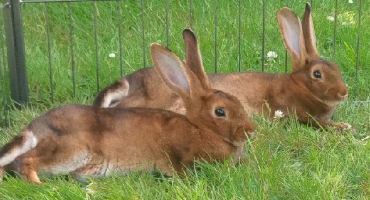 They dont like parsnips, courgette or peppers but other bunnies in the family do so. Thanks everybun, just reading through now. Does anyone feed prewashed ready to eat foods?